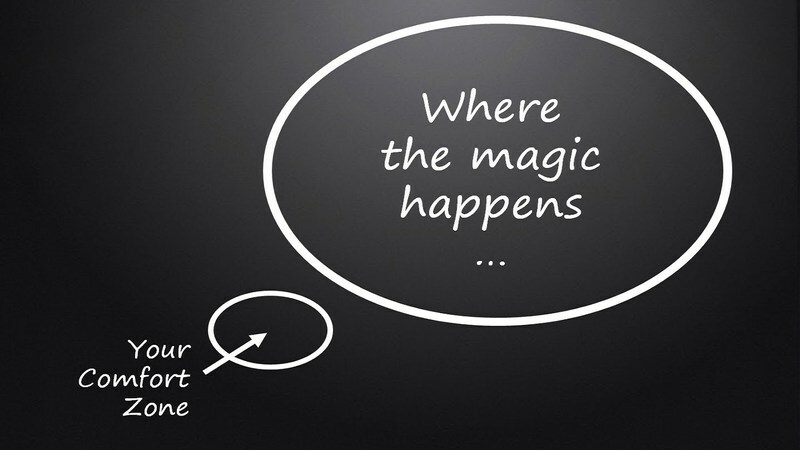 If magic is outside your comfort zone, how do you take the leap? Magic begins at the end of your comfort zone. We've all heard that, right? Well, let's be honest. It's a lot easier said than done! I've been pondering that saying a lot lately because it's been reflected in the emails I've gotten from you guys. My Iceland yoga retreat is coming up in a few months and it's bringing up a whole bunch of stuff for myself, for the participants who've already signed up and more importantly, for everyone who's on the fence about it. I feel the discomfort, the fear and the resistance in the emails I get from you. I want you to know, I hear you! I know that for a lot of you a trip like this is a BIG deal. It's a big financial investment on top of being a leap into the unknown! It's not the kind of thing you're used to doing for yourself. There may be a part of you that's thinking, can I really do this? Can I take a full week to focus on myself and my own needs? Is it really okay to spend money on myself this way? Do I deserve this? Does this make me selfish? It's like an internal tug of war. One part of you thinks you "shouldn't" do this and the other part of you is crying out "I need this". The real question is, which part will you listen to? If you close your eyes and put your hands over your heart, what is it telling you? I certainly can't make the decision for you, but I want you to know that if you wait for the resistance to disappear to make a decision, it'll never happen. That's not how leaping out of your comfort zone works (unfortunately). When I close my eyes and imagine the people on this retreat with me, it's filled with caregivers. People who constantly give to others and rarely give to themselves. People who hold the world on their shoulders. People who really need a break! More than anything, I want this trip to be a gift you give yourself. A gift to your wanderlust spirit, to the child inside that wants to come out and play! It's getting to that time now where spots are filling up and flights are at a great price, the time is now. I don't want you to miss this opportunity because you we're stuck in your comfort zone. If this sparks a fire in your belly, click here to learn more. If you have any questions about this trip, please reach out to me! You can do so just by replying to this email. I'll be more than happy to assist. Here's to the adventure of a lifetime!